Our new makeup primer is the perfect complement to our Natural Liquid Foundation. Our natural primer with our natural foundations are a match made in makeup heaven! 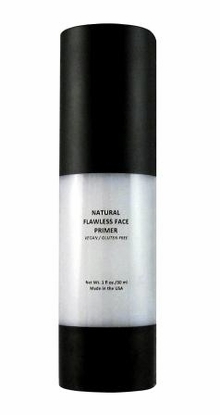 This Primer will hydrate, smooth and prepare your skin for perfect makeup application! 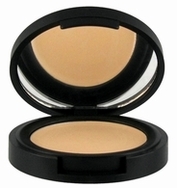 Your makeup (liquid, cream or powder) will stay flawlessly fresh all day and remain color-true. A lightweight, non-greasy lotion that works with all skin types and tones, to create the perfect canvas for your foundation as well as help reduce the appearance of fine lines and pores. Application: All you need is one small pump! 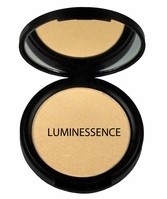 Super-concentrated; a little goes a long way and will glide across your face evenly and effortlessly. Apply to clean or moisturized skin with fingertips, sponge or brush. 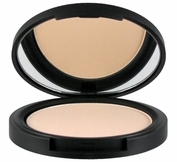 Allow a moment to set and follow with makeup application. A modern formula that is packed with certified organic botanicals and antioxidants that help nourish, protect & promote healthy radiant skin. Made in the USA using Natural Ingredients that are 80% Organic � Gluten Free / Vegan / Non- GMO. Organic Aloe Heals, soothes, hydrates and is nutrient rich! 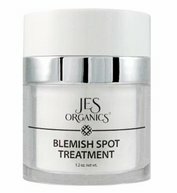 Helps improve skin's natural moisture content. Organic Jojoba oil Balances and Hydrates. Glycerin Enhances skin's suppleness and helps provide a physical barrier between skin and makeup, making it the perfect natural ingredient for base makeup. Green Tea Protects and hydrates. 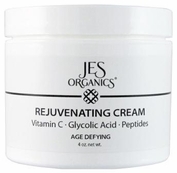 Vitamin E A natural skin-conditioning agent and antioxidant. Squalane: Sugarcane derived Squalane helps hydrate and protect the skin, while leaving it soft and silky. Silica: Serves as an anti-caking agent, absorbs excess oil & sweat without affecting the moisture of skin, reduces redness, helps balance ph and improves spreadability of product. Ingredients are balanced for use on both dry and oily skin; this is the perfect base for all foundations and all skin types! Water, *Aloe Vera Leaf Juice, *Jojoba) Oil, Squalane, *Glycerin, Silica, Rice Starch, Vitamin E, Candelilla Wax, Hydroxyethylcellulose, Green Tea, Rosehip Fruit Oil, *Oregano Leaf Extract, Thyme Extract, *Cinnamon Bark Extract, *Rosemary Leaf Extract, Lavender Flower Extract, Goldenseal Root Extract. (*Certified Organic).